A visit to Riordan Mansion, built in 1904 in Flagstaff, Arizona, reminded me that in retail what’s old is new again. I am talking about home delivery. 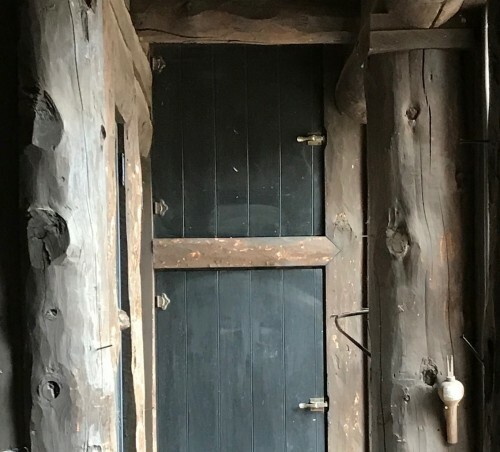 As I entered the rear porch of the home there it was – a complex door system that had refrigerated and dry goods compartments. Delivery companies could then access the home, place the goods in the appropriate compartments, and move on to other deliveries. Inside the home there were additional access doors that allowed the staff to remove the items. We have gone full circle, whether we allow Amazon and Walmart delivery people to enter our homes, or we begin to supply lockers like these at our homes, the paradigm has shifted again. Its not a new observation but it is still a good reminder that Sears and Montgomery Wards were the “Amazon” of their times. Not to forget that these companies were also entertainment. There was nothing as exciting as when the new catalog arrived in small towns across America. For just $3.95 the Montgomery ward catalog from 1894 could expose new and exciting products to citizens that didn’t have access to the mega stores developing in the big cities. 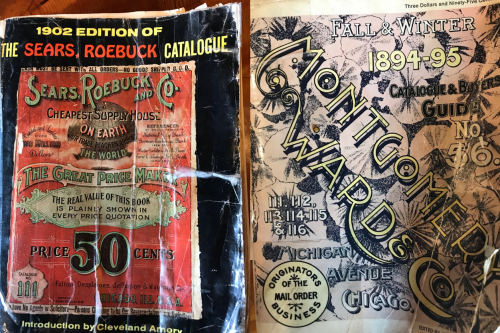 The fee to purchase the catalog was not insignificant in 1894, and could be construed as the “prime subscription” of the time. But after shutting down its catalog business in 1985, Montgomery Wards went further into decline and liquidated in 2000. Ironically Sears closed its major, big book, catalog operation in 1993, just one year before the launch of Amazon. The tragedy is that nobody could seemingly see what Bezos did, ecommerce would be the future of catalogs. Wrapped in technology, Amazon is basically an enormous catalog that provides exceptional service and value. 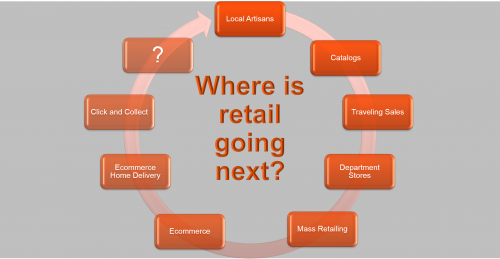 But what is the future of retail today? One thing I know is that from what I saw at Shoptalk 2018 – most big retailers still don’t have a clue.